The European Commission has added the first non-European shipbreaking yards to the list of approved facilities licensed under the new European Ship Recycling Regulation (SRR). The additions do not include South Asian yards, but they do add new geographic options. The newly approved recyclers include two sites owned by Turkish firm Leyal, both in Aliaga, and International Shipbreaking Limited’s yard in Brownsville, Texas. The larger of the two Aliaga sites can handle ships drawing up to 50 feet; the Brownsville site is limited to vessels drawing 30 feet or less, according to the list. “We are very proud of this milestone achievement, more so because Leyal is the first non-European ship recycling facility worldwide to accede to the EU List of approved facilities and the first and only from Turkey,” said Leyal in a statement. Three more European yards – Turku Repair Yard in Finland, San Giorgio Del Porto in Italy, and the American-owned Modern American Recycling Services Europe facility in Denmark – have also been added to the list. The additions bring the total number of approved shipbreakers to 26 yards. European shipowners own 35 percent of the world fleet, and most of their decommissioned vessels are dismantled on beaches in South Asia, where recyclers pay the highest prices. 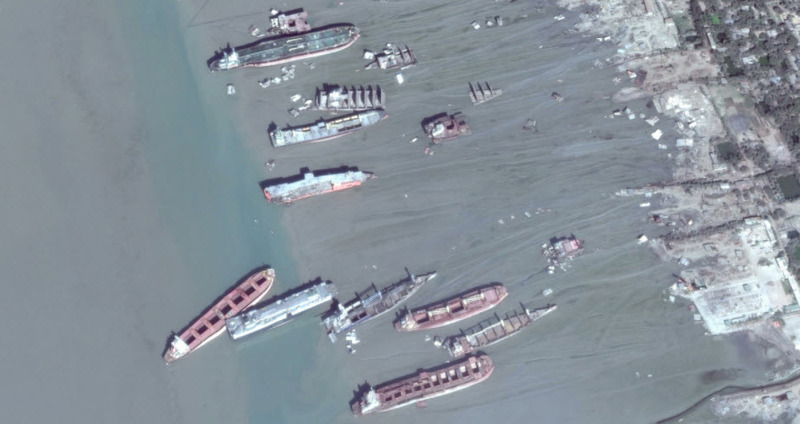 Shipbreakers in India, Pakistan and Bangladesh will pay hundreds of dollars more per ton than the rates found at yards in the West, and this translates into a multi-million-dollar price differential for the seller of an oceangoing vessel. However, South Asian recyclers also experience high injury and fatality rates relative to competitors in other regions, and they release unquantified amounts of pollution by breaking ships on tidal mud flats, according to NGO Shipbreaking Platform. After December 31, ships flying an EU flag will have to be recycled at an EU-approved ship recycling facility, which technically forecloses the possibility of selling a European vessel to an unapproved South Asian shipbreaker. Critics of the SRR have suggested that if South Asian yards are omitted from the list, owners will flag out their vessels in order to avoid the compliance requirement.